Yakubu Dogara has condemned the alleged assassination attempt on the Deputy Senate President, Ike Ekweremadu. On Tuesday, November 6, 2018, Ekweremadu escaped an assassination attempt on his life when gunmen reportedly invaded his home in Apo Quarters. According to the Deputy Senate President’s spokesman, Uche Anichukwu, the lawmaker’s wife and son were also in the house when the assassins evaded security agents and gained entry around 4 am. 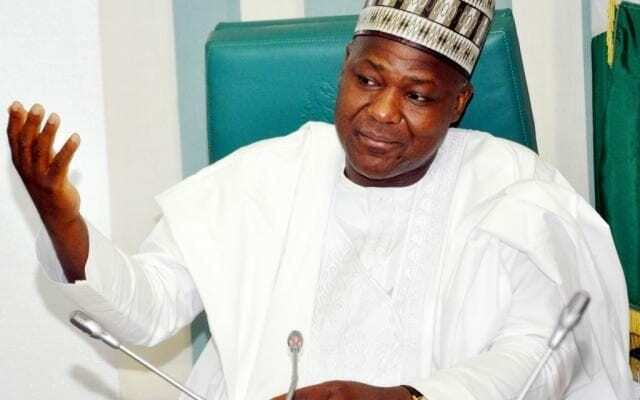 Speaking in a statement issued by his media aide, Turaki Hassan in Abuja on Tuesday, Dogara called on security agencies to be alert, NAN reports. “As the 2019 elections draws closer, the Nigeria Police and indeed all security agencies must ensure that acts of intimidation and coercion such as political assassinations are prevented. “There is no room for excuses anymore. The security agencies must be alive to their responsibility of securing the lives and property of Nigerians. “This is unacceptable. The police must ensure that the gunman and all those involved are not only apprehended but brought to justice. “As the 2019 elections draw closer, it is of utmost importance that the police and other security agencies deploy their intelligence to forestall wanton killings and other violent acts that are programmed to cause fear and panic among Nigerians. “These kinds of incidents must be nipped in the bud before they get out of hand. “I commiserate with the Ekweremadu family and pray that God will continue to keep them safe,” he said.